All the wind and rain that we have been having over here doesn´t make it feel very summer like. 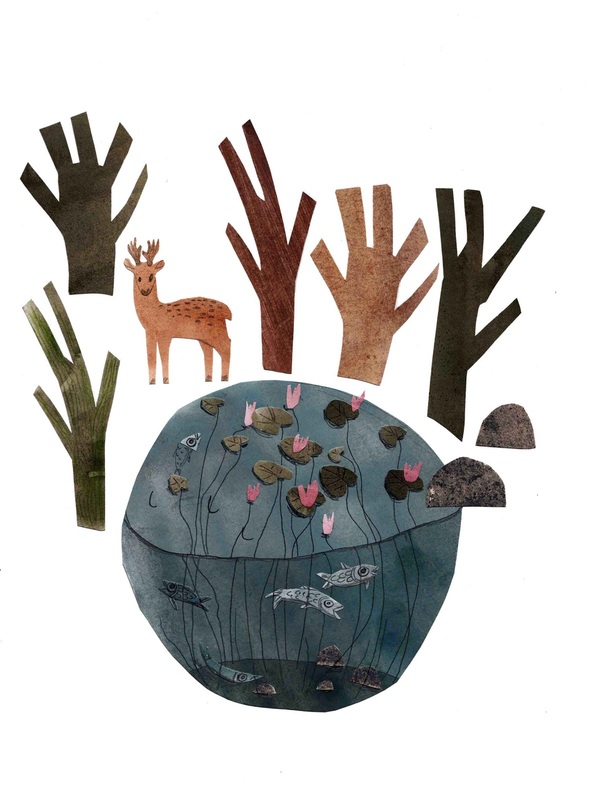 So I made this picture, a pond with fishes and stuff ....plus a deer. Love your collages. Sounds just like our summer here in the UK!